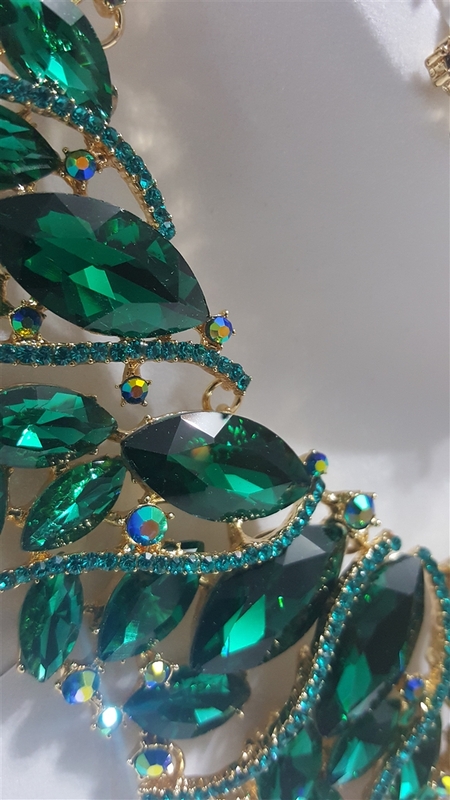 True statement piece. 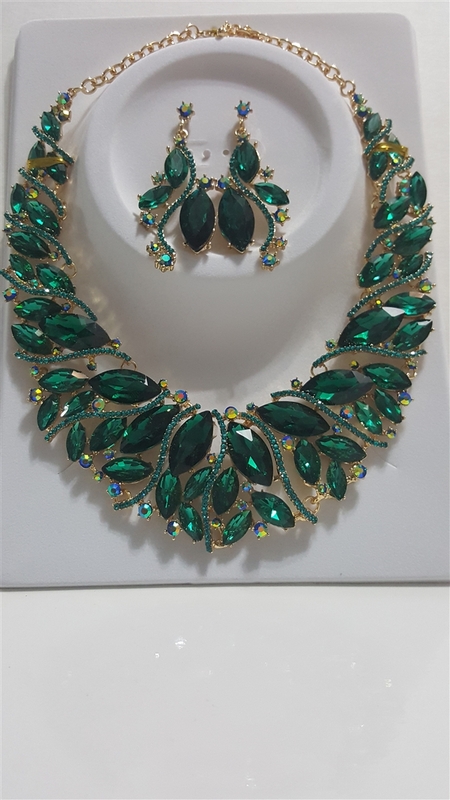 This bold, yet elegant emerald statement necklace set will compliment any attire or stand on it's own. 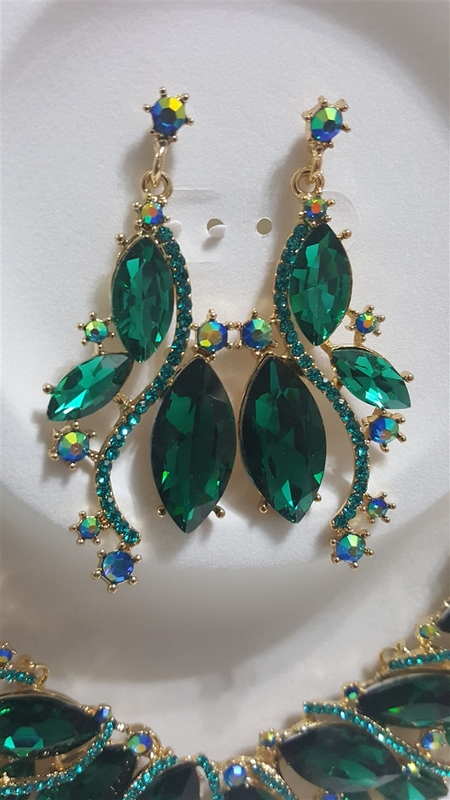 This three piece set comes with elongated earrings, defined necklace and a matching bracelet.